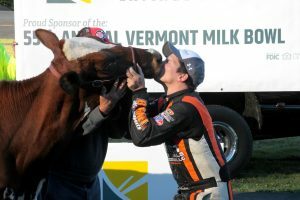 Pollard to Enter 57th Vermont Milk Bowl? 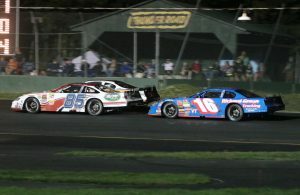 Barre, VT – One of the most accomplished Late Model and Super Late Model racers in North America will be coming to Barre’s Thunder Road Speedbowl this fall. Senoia, GA’s Andrew “Bubba” Pollard has announced plans to enter the 57th Vermont Milk Bowl presented by Northfield Savings Bank on Saturday and Sunday, September 28 and 29. 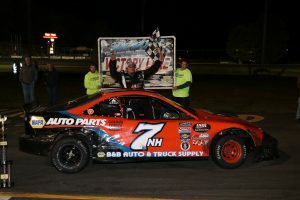 Barre, VT – Hometown racer Nick Sweet came out on top of a late-race battle with St-Denis, QC’s Patrick Laperle to take the Pro All Stars Series (PASS) 150 at the inaugural Northfield Savings Bank Milk Bowl Friday on September 28. The two former Milk Bowl winners went door-to-door for nearly 20 breathtaking laps to kick off the 56th Vermont Milk Bowl Weekend. But it was Sweet who prevailed to take his first Super Late Model win at his home track. Barre, VT – One year after scoring the biggest win of his Late Model career, Jason Corliss is ready to do it all again. With just days remaining before the 56th Vermont Milk Bowl presented by Northfield Savings Bank, the hometown racer and his Burnett Motorsports team are hard at work preparing for this year’s edition of the “Toughest Short Track Race in North America”. Barre, VT – The fight for the “King of the Road” title has come down to the final Thursday night event of the season — and it may come down to the final lap as well. Thunder Road’s 2018 Maplewood/Irving Oil Late Model champion will be crowned Thursday, August 23 on Jet Service Envelope/Accura Printing Night. Scott Dragon, Jason Corliss, and Trampas Demers sit just 10 points apart in what has been one of the most compelling championship battles during the track’s 59-year history. Each will be going all-out to take home the title for themselves and for their team. 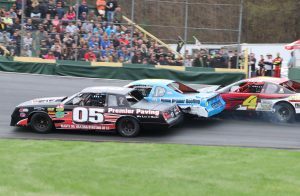 Barre, VT – The weekly racing season for Barre’s Thunder Road Speedbowl arrives this Friday, June 8 with Capitol City Automart Night. The special Friday night event marks the unofficial start of summer in central Vermont as racing engines roar to life under the lights. The event will be one of the biggest of the year for the Lenny’s Shoe & Apparel Flying Tigers. The famed division opens the Myers Container Service Triple Crown Series on Friday with a 75-lap main event. It is the second year for the 3-race series after a successful debut in 2017.